Photograph looks southeast, directly downslope, toward the lake. Forest Road 02N42 “Black Point Rd.” , Mono County, California: at end. A Checklist Flora of the Mono Lake Basin, Mono County, California and Mineral County, Nevada. : Site P-4. 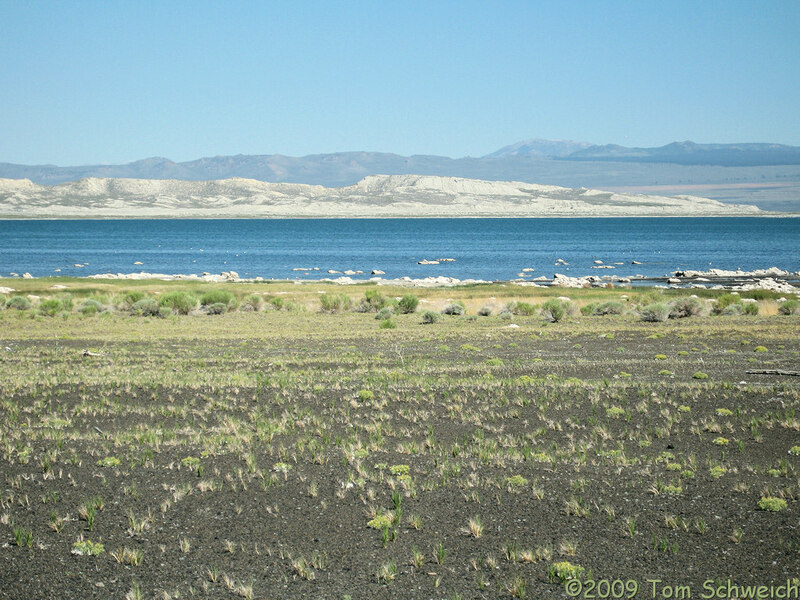 Other photos about Geography - Mono Lake Basin, California or Mono Basin Research Group.